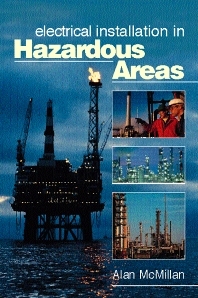 The Health and Safety at Work Act, together with current and impending EU Directives, obliges those responsible for hazardous areas, those who work in such areas and those who supply equipment for use in such areas to demonstrate that they have taken all necessary and reasonable steps to prevent fires and explosions. This book addresses these issues, seeks to explain the ever increasing complexity of standards and codes pertaining to this field and describes their method of application and the application of other procedures to assist those involved. "This is a very comprehensive and useful book that brings together information from various British and European standards and presents them in one place. It will be not only very helpful to engineers from the UK and European countries involved with electrical installations in hazardous areas, but especially to US engineers who are not as conversant with the approach taken in the UK and Europe. I can highly recommend it to all such engineers"